An unbelievable new Richmond Central condo development is now launching! 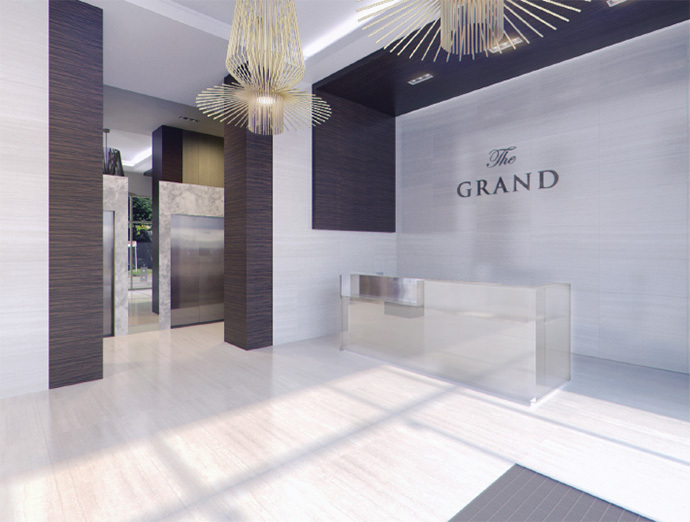 Situated in the heart of Richmond BC, The Grand at Lansdowne Richmond condos is a boutique and elegant project that features a 15 storey tower located in the city centre. The impressive collection of modern contemporary homes redefines convenience with its superior location at Lansdowne and Cooney Richmond, bringing all the essentials right to your doorstep. Featuring a total of 123 boutique condo homes for sale including five multi-storey townhomes, The Grand Richmond Lansdowne real estate development will be located in the heart of what is known as ‘North Richmond’ just minutes away from Vancouver, Downtown, YVR and everything else in the Lower Mainland. 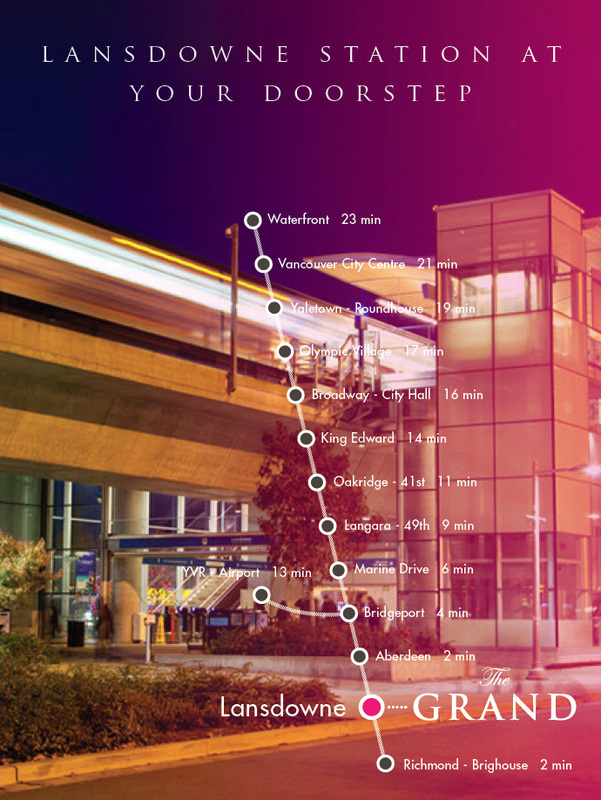 Situated just across the street from Lansdowne Mall, The Grand Richmond condos is also just minutes away from local landmarks that include the Lansdowne SkyTrain station (along the Canada Line), Kwantlen University as well as the new Trinity Western University (Richmond Campus) that is opening soon. Not only that, but home buyers will be very close to everything that makes this city so exciting: international cuisine, boutique shops, large malls, big retail outlets, cafes, eateries, entertainment, recreational options and cultural activities. You are 40 seconds from Lansdowne Shopping Centre, 3.5 minutes from Lansdowne SkyTrain Station, 5 minutes from Kwantlen Polytechnic University, 8 minutes from Restaurant Row and 12 minutes from Richmond Centre! Experience what it means to live at the center of it all. 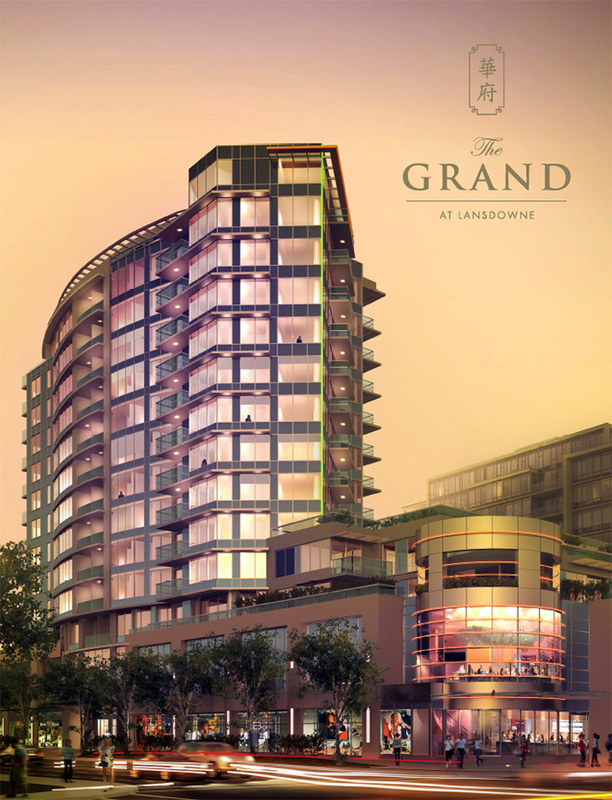 Experience The Grand at Lansdowne Richmond condos today! Strata fees are approximately $0.35 / square feet and the estimated completion is early 2017. Register at www.grandliving.ca for more details about this project. The developer for The Grand Richmond Lansdowne condos is CCM Investment Group and the architecture is by IB Group Architects (award winning). The interior design is by Portico Design Group and the Project Contractor is ITC Construction Group. Live at the Centre of the City Centre – Convenient Luxury at Richmond’s Grand at Lansdowne Condos! The Grand in Richmond is all about location, location and location. But it’s not the only amazing feature of this boutique development. Take for instance price point. For a brand new luxury Richmond condo or townhome, you are getting one of the best value’s in the Lower Mainland property market. The 1 bedroom homes at The Grand at Lansdowne Richmond condos range between approximately 516 to 552 square feet and start from just $279,800! In addition, the larger 1 bedroom plus den floor plans range from $339,800 and are between 626 to 698 sqft. The very large 2 bedroom Richmond Grand Condos at Lansdowne and Cooney are between 693 to 888 square feet approximately and they start from just $374,800 (you can’t find this anywhere else). Also, The Grand Richmond Penthouse units provide great views and floor plans available upon request. If you are looking for a new Richmond townhouse, the Grand also feature multi-level residences between 966 to 1,049 square feet approximately and they start from $509,800! The presentation centre is now open at #170 – 8380 Lansdowne Road, Richmond. The deposit structure includes 5% upon writing the offer, another 5% within 7 days after vendor acceptance and 5% on the later of: 10 days after delivery of Building Permit Amendment or 120 days from vendor acceptance date. There is a last deposit of 5% within 120 days after the 3rd deposit is due. Again, more information and the developer/sales team registration is online at www.grandliving.ca. Featuring a wide variety of boutique 1, 2 and 3 bedroom suites, the expected launch for this newest boutique Richmond condo development is set for May 2014, so don’t wait to register your interest. Construction on the new presentation centre is already underway. The central Richmond locale is impeccable, being just opposite Lansdowne Mall and within easy walking distance to the Canada SkyTrain Line to get you to YVR or downtown Vancouver within minutes. The Grand at Lansdowne Richmond presales condos will also be within close walking distance to Kwantlen University, beautiful parks, outdoor spaces and the Gateway Theatre. Plus, you are also within easy reach of Richmond’s famous shopping, international cuisine and much more! Register your interest online today at www.grandliving.ca. Please note that all of The Grand at Lansdowne penthouse floor plans are draft layouts and subject to change any time. The Richmond Grand penthouses are located on Level 16. The floor plates change according to these floors: Level 8-15, Level 7, Level 6, Level 5 and Level 1. All have their distinct floorplates and layouts for home buyers to choose from. There are only 5 exclusive opportunities to purchase multi-level Richmond townhouses at The Grand at Lansdowne and they include the following draft layouts below. The Grand Townhomes are located on Level 5 of the podium. Please note that all of the townhomes face ‘north’ and all are two level homes for sale with patios. For more information about the North Richmond Grand at Lansdowne condos and townhouses, please see a sales representative at their Lansdowne Road presentation centre or visit their marketing web site online today.